Mexico's kit for the World Cup 2018 is made by Adidas and it is one of a number of designs that draws inspiration from the past. In this case, the home jersey is modelled on the team's look at the World Cup 1994. It is predominantly a dark green colour, with small flashes of white on the arms, collar and, of course, the three stripes. It also features a mirrored design on the sides in a lighter shade of green, which harks back to the 1990s. 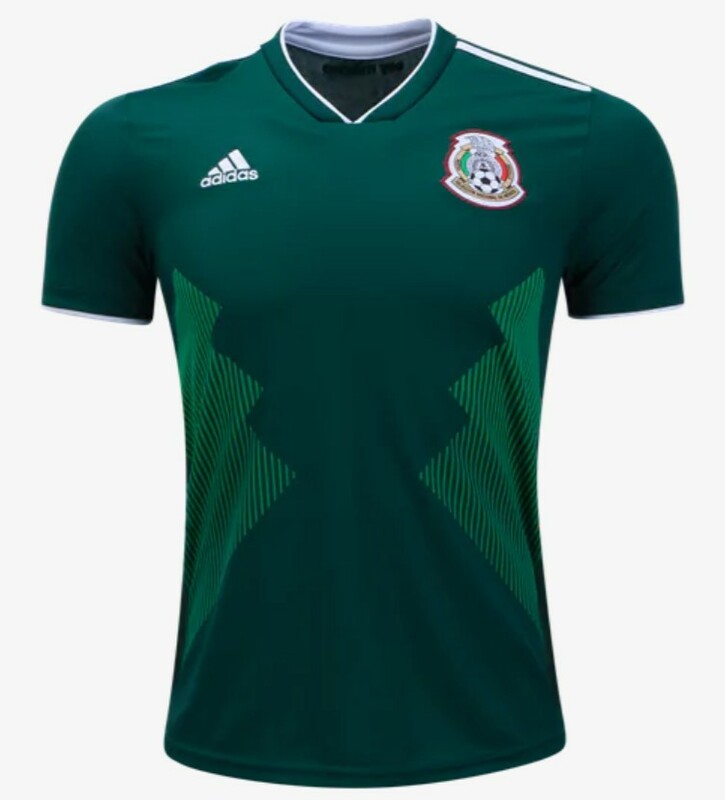 The away jersey is even more of a throwback, looking towards Mexico's 1970 kits with the torso featuring a horizontal version of the country's iconic flag.